EXIT's training programs generate countless testimonies: brokers and sales representatives alike are reporting how EXIT training has taken both their career and personal lives to the next level. Discover how EXIT training can equip you to ignite explosive results in all facets of your life. 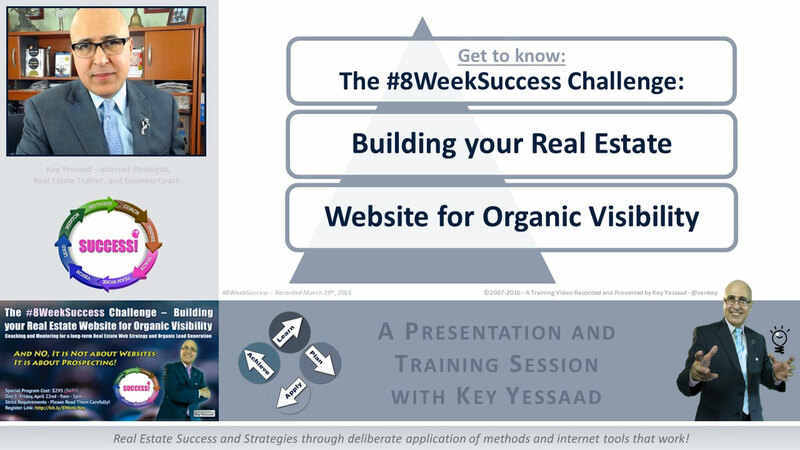 Key Yessaad's 8 Week Challenge on how to Build Your Website for Organic Visibility has started. We have a group of EXIT Agents that are ALL IN and up for the challenge. This course is designed for Real Estste Agents who believe that the work they do in their Organic Web Services Platforms require Strategy, Patirnce, Deliberate Implementation, Courage, a Great Attitude, and a Long-term Outlook. Johnny Loewy Event to Kick Off the New Year! Johnny Loewy held his Growth Factor training Monday, January 11th through Wednesday, January 13th. This training was 3 packed days of learning dialogues, handling objections, rules of engagement and how to be better closers and managers. In addition to the great training opportunities above, below you will find an additional sampling of the many training offerings we have for our Brokers, Associates, Realtors and Admins!